As we all know, any project must be undertaken in a series of steps, optimally in accordance with some kind of timeline. If, like me, you “work best” when up against a deadline, you may have to engage the services of a friend, relative or frenemy to make you promise to sort your photos by a certain date, visit or season. The best advice is to dedicate an hour a day or per week to the task, and you’ll be done before you know it. How to categorize photos is also a puzzle – depending on the number of family members, branches, events, trips or other criteria that make sense to you. The key is to stick to the plan. This is unfortunately also true of digital photos – witness desktop icon photos, my pictures, my favourite pictures, family pictures, miscellaneous, trip photos, year photos and others in my directory. Long gone, obviously, are the calm days of taking, developing and inserting photos in a series of albums (according to children, trips or other categories). Taking my own advice, that is, first gathering everything in one place – I took that picture and was appalled at the number of boxes I had been hoarding. (In my defense, we’ve lived in the same house for almost 40 years; I inherited many pics from my parents; et cetera.) After lying down for a bit to recover from the shock, I did attack those same boxes and within a day, sorted them into a more manageable mass. Those six boxes of various sizes had lived under futons, behind a giant armchair, in several closets, and finally the basement. I hid them in a different place each year before my sister’s annual visit, embarrassed that I had done nothing with them. They were, in short, a plague. 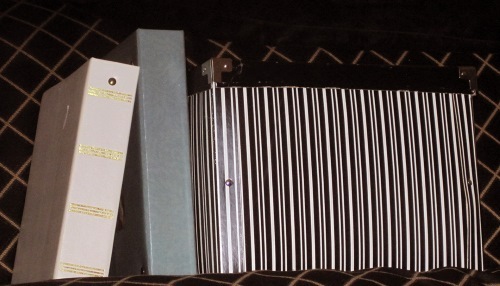 Today, there are many albums on a bookshelf, but as a result of that day’s work, there is now one box, containing neatly labelled file folders. No more chaos. One box and one box only! On the down side, no one may ever have the time or desire to look through the albums with a teary eye or keep any of them. All the more reason to select only the best and favourite. Our offspring are obsessed with downsizing at an age when we had a lust for accumulating – in the heyday of consumerism as well as a part of our post-refugee mentality. Now we see our children’s counter-reaction. Next: imagine the convenience of keeping and passing on just a few discs! Ideally you (and I) will scan the selected photos in an orderly fashion. 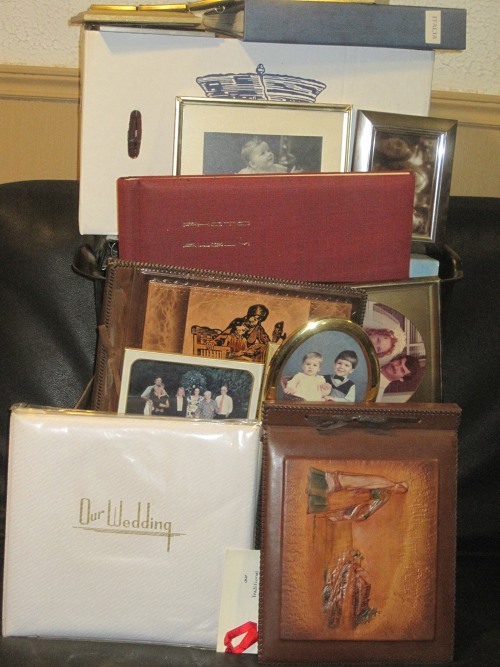 For me the most compelling and poignant reason to begin a schedule of selecting-scanning-digitizing is the memory of going to an estate sale and seeing family photo albums in a heap on the floor beside sundry mementos, china and kitchenware. Use or get rid of all that stuff now! Unburden yourself and your children, and live in peace with only the things you love.